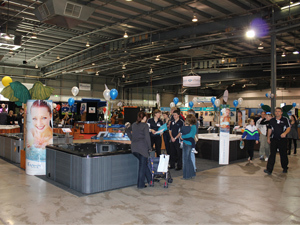 Good weather saw an increase in consumer numbers at the 2016 SPASA Pool & Spa Expo in a welcome sign for the industry. 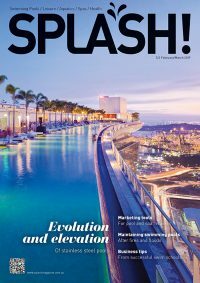 Attendees included a large number of families throughout the two days, and SPASA says they distributed more than 4500 SPASA Pool and Spa Essentials magazines. The event hosted 90 exhibitors and 12 well attended free consumer seminars. 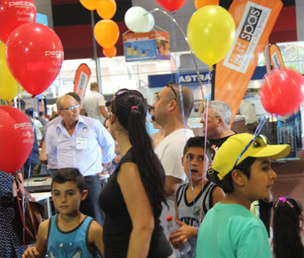 Spiros Dassakis, CEO of the Swimming Pool and Spa Association of NSW & ACT says the quality of attendees at this year’s expo validates the love that NSW and ACT residents have for pools, spas and outdoor living. 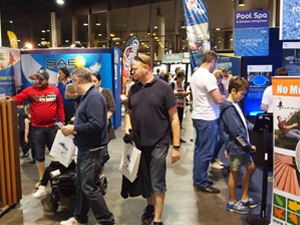 “The expo provided an excellent platform for industry to showcase swimming pools, spas, products and services directly to the public under one roof,” he says. He also says that SPASA spent an enormous amount of time, energy and funds coordinating and promoting ownership of pools and spas through the expo and he was happy to report that the quality of attendees was high. “The general consensus was that the level of genuine inquiry had surpassed expectations and that exhibitors were very satisfied with the leads generated,” he says.